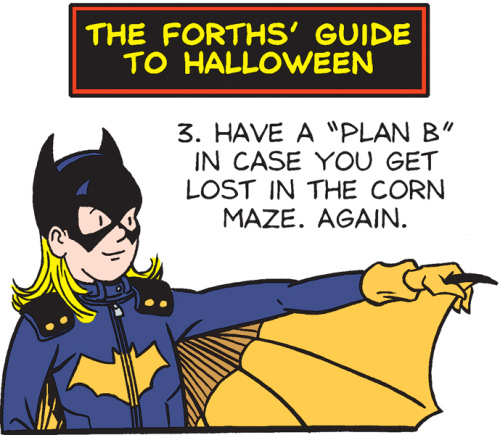 Halloween week continues with Hillary dressed as the new Batgirl. 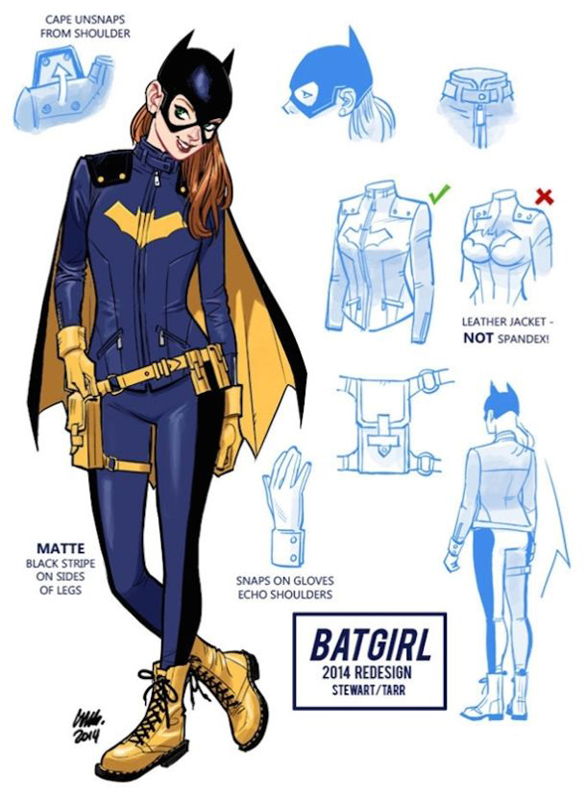 And here’s the reference Francesco pointed me to – with the look from Batgirl #35. Followed by an animated gif someone made of the cover. 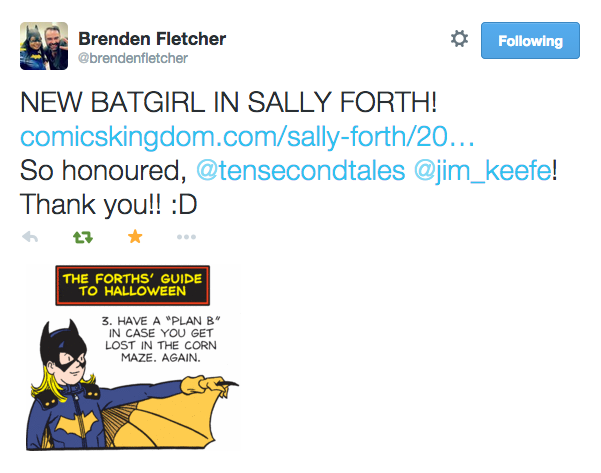 And after all is said and done, it was nice to get a thumbs up from Batgirl’s writer Brenden Fletcher. From Brenden Fletcher’s Twitter page. All for now – Halloween week continues in Sally Forth week tomorrow. This entry was posted in Francesco Marciuliano, Sally Forth and tagged Batgirl, Brenden Fletcher. Bookmark the permalink.